All of the components on and in your vehicle are there to make it work as well as make the ride more comfortable. There are things that are completely necessary to keep the car running while others are there as a simple convenience. One of the things on the car that are a necessity and should be well cared for are the tires. 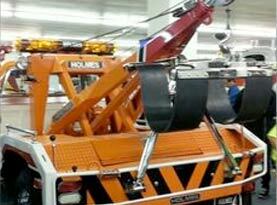 They are there to make sure that the car is able to move forward when the motor pushes it. They are also part of the comfort of the ride so in order to enjoy the ride and keep the car on the road you need to take great care of them. They are not manufactured to last the life of the car and they will need to be replaced on occasion. You may end up needing to replace them sooner than you want if you don’t care for them and inspect them properly. Check Tire Depth Tread: One of the areas of the tire that you can keep a good eye on is the Tread. This is the top layer of the tire that has the design in it. There are usually groves that are specific to that brand of tire but one thing is the same with all. There is a depth that they should stay above in order to run properly. The hard part is that it can be difficult to know how deep the tread is. There are tools that you can purchase to get a proper measurement but you can always just use the penny test. This is where you take a penny and place the head down into a portion of the tread. If you are able to see the head of Lincoln then it is time to replace the tires. You want to make sure that you check each tire on its own because they do not all wear out at the same pace. Tire Wear Patterns: The next part of the tire is what was mentioned above and that is the tires are not wearing out at the same pace. There are reasons that the tires will not all wear the same and some of them are things that you should have repaired but some are unavoidable. When you allow the tires to wear out uneven they will need to be replaced sooner. They may be wearing the inside edge faster then the outside and it nothing is done about it they will wear down to the metal quick. The way to avoid this from being a problem is to make sure that you rotate them regularly. This will help to balance out the wear. Be sure to contact a tire company that can give you guidance on how often this might be necessary. 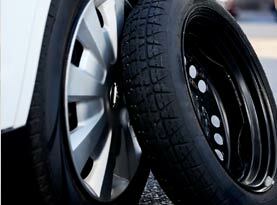 Maintain Proper Tire Pressure: If you do not keep your tires inflated to the right pressure they can become damaged. You can find the information for the pressure required on the side of the tire. You want to make sure that you check them especially when the weather changes. The temperature change will cause the air to shrink or expand on the tires often requiring them to be adjusted. 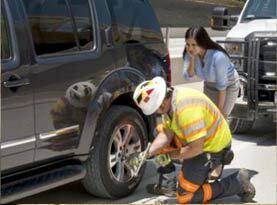 Speedway Towing & Roadside Assistance can come out if you have a flat tire or blowout on the side of the road. 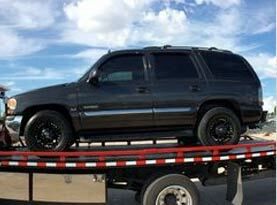 Call us for all your towing and roadside assistance needs!